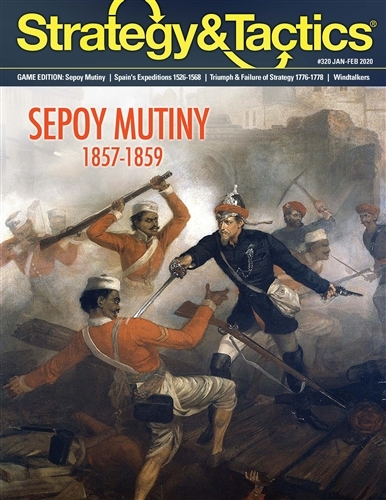 Sepoy Mutiny is a two-player wargame simulating the rebellion of Sepoy troops in the British Indian Empire in 1857-58. One player represents the British command, and the other the leadership of the Rebels. Both sides are trying to gain control of India. The game system is based on the one originally presented in our earlier S&T games: They Died with Their Boots On, Volumes 1 & 2 (S&T 236 & 242). It uses an interactive sequence of play in which command, rebellions and events are randomly generated. 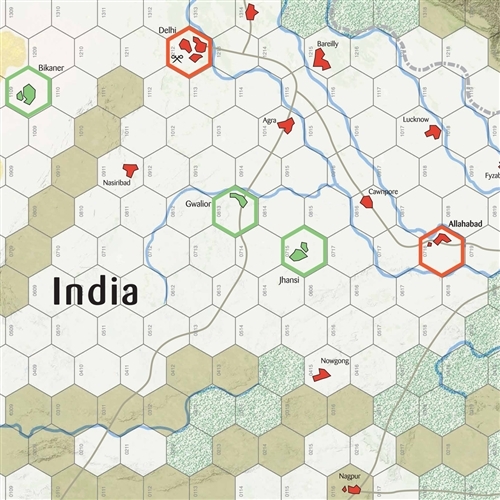 The British Empire player controls British Regular, Punjab (including Sikh), Loyal Sepoy, Auxiliary and Nepalese forces. The Rebels initially control no forces but will gain them from Sepoy and Rebel Badmashes units which mutiny. 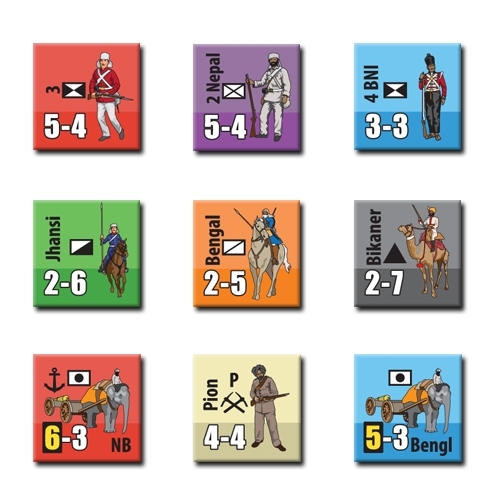 Both players can also mobilize various Princely State forces. Each turn represents roughly two months of time. Each hexagon is about 40 miles across. Each unit represents anywhere from 2000 to 10,000 troops. Leaders represent major commanders, their staffs, and guard troops.